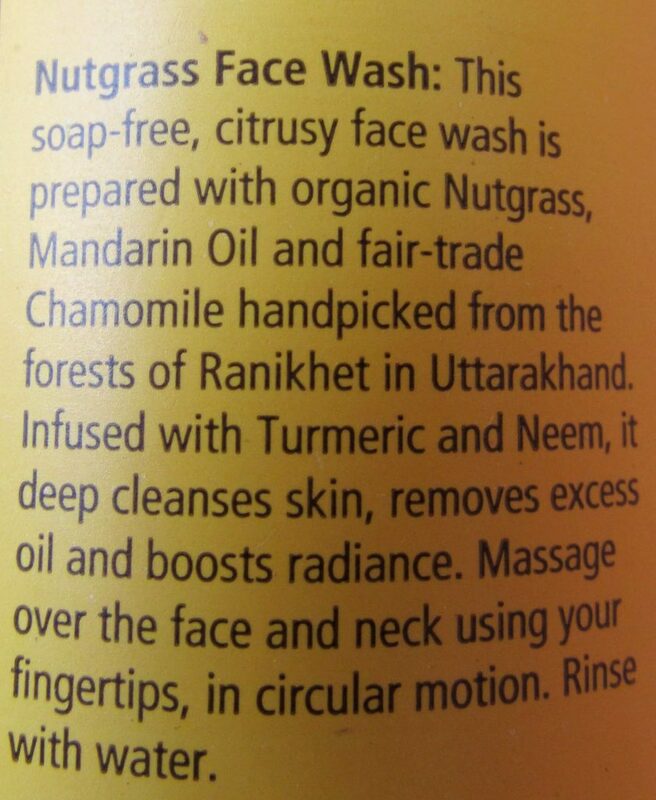 Today I’m gonna review Soultree nutgrass face wash. 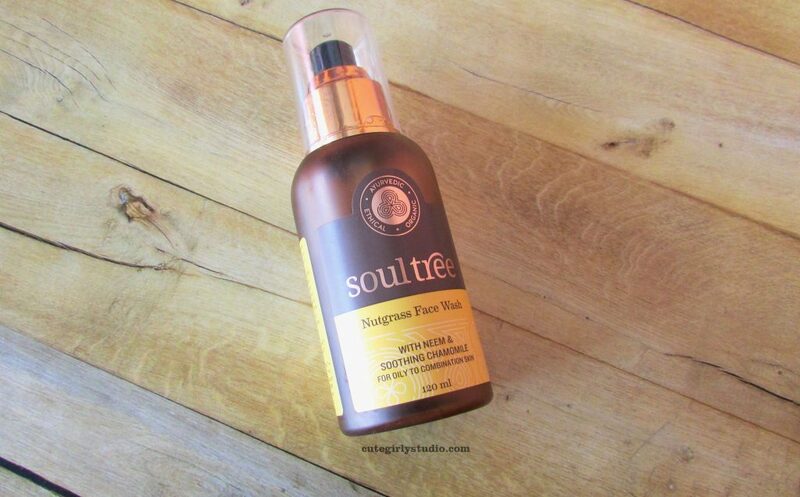 I have already reviewed soultree’s tulsi moisturizing gel on my blog. Click here to read the review of the moisturizer. I am using this face wash regularly in my night time skincare routine for the past 2 months and here are my views on this product. 375 INR for 120ml. Buy it here. The face wash comes in a sturdy brown plastic bottle with pump dispenser. The bottle has all the necessary information. The bottle is slightly on the bulkier side so I don’t think someone will travel with big bottles of face wash. Overall I like the packaging. The Soultree nutgrass face wash has a mild citrusy aroma which I like. The facewash is gel-like in texture and lathers mildly. The face wash is pale brown in colour and looks almost colourless. It is not at all runny, infact the face wash has a thick consistency. Though the face wash lathers mildly, it cleanses my skin really well. My skin feels well hydrated and refreshed once I wash my face with this face wash. The face wash will not remove waterproof sunscreen or any makeup. So it is a must to remove makeup and waterproof sunscreen with any other oil-based cleanser to remove them properly. It does its job of cleansing the skin without stripping off the moisture. 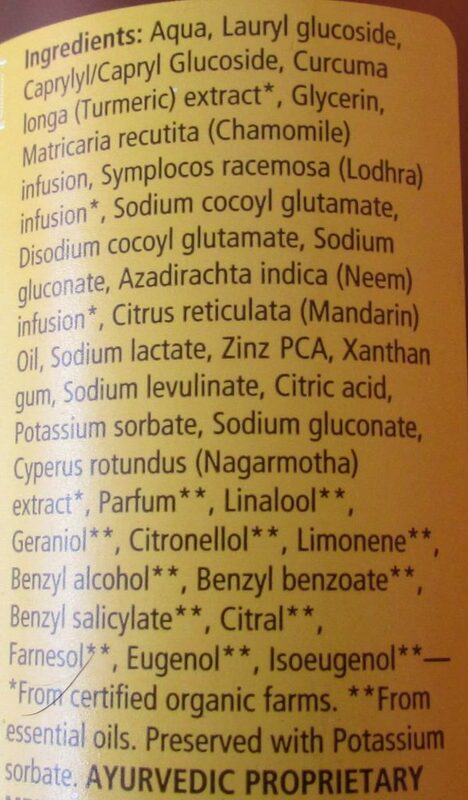 Despite having neem and turmeric infusion, the face wash doesn’t help with preventing acne. Overall this is a gentle face wash that cleanses the skin without compromising on skin barrier. May be. If I don’t find any better option I might repurchase this face wash. Yes. If you are looking for a gentle yet effective face wash that is certified natural, then this is the one you wanna purchase.